Made from nonshedding glitter cardstock. Sticks will be visible from the back side. Mounted on one bamboo skewer. If you want a different color, please message me first. These evergreen pine trees are all decked out for the holidays with a red ball topper and plastic yellow and red garland. 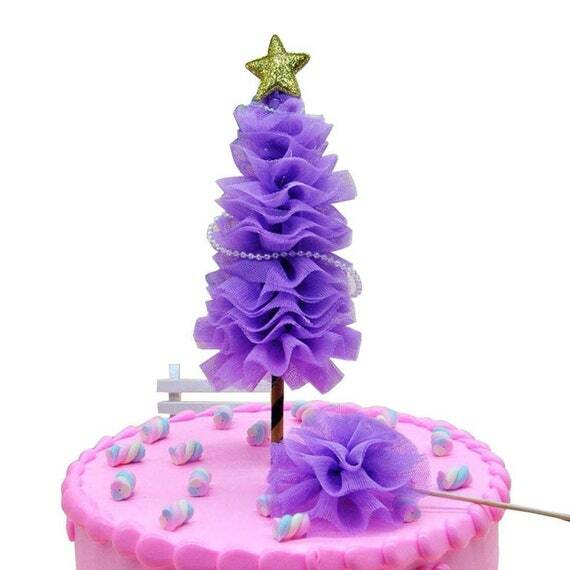 Great miniature for Christmas cakes and cupcakes. Use for miniature scenes, homemade snow globes or outside your gingerbread house. Cute for crafting, too. 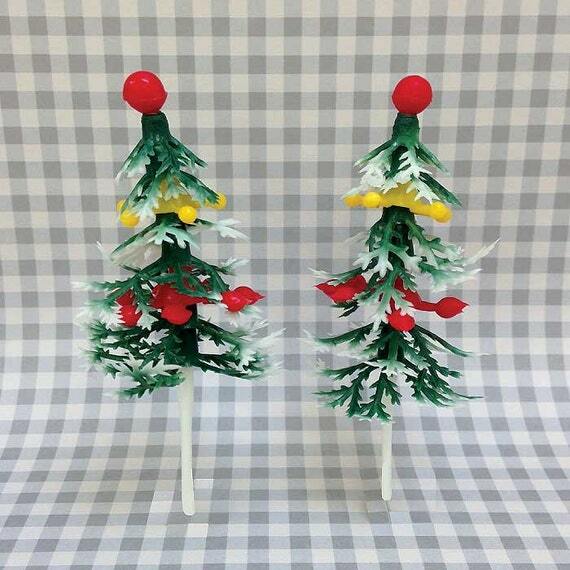 You will receive 12 plastic pine / spruce trees with red ball top and red and yellow trim. Roughly 4-1/2″ tall including the long stem which can be trimmed to suit your needs. 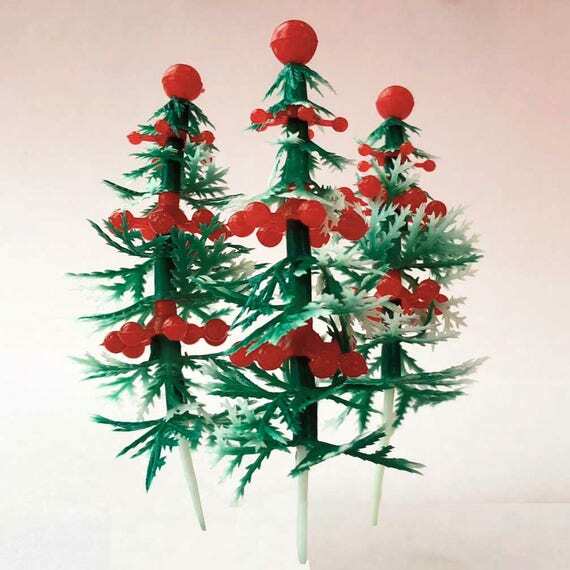 These miniature plastic evergreen trees are decked out with a red ball topper and red garland. Great for holiday cakes and cupcakes. Use for miniature scenes, homemade snow globes or outside your gingerbread house. Cute for crafting, too. 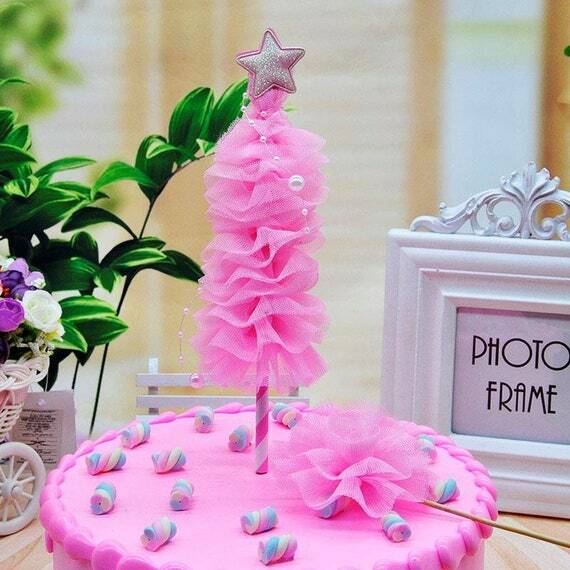 You will receive 12 plastic pine / spruce trees with red ball top and red trim. 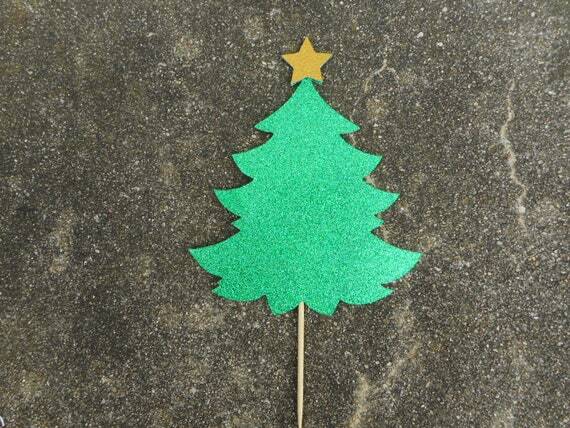 Trees come with either short or long stems (tree size on both is 2-1/2″). 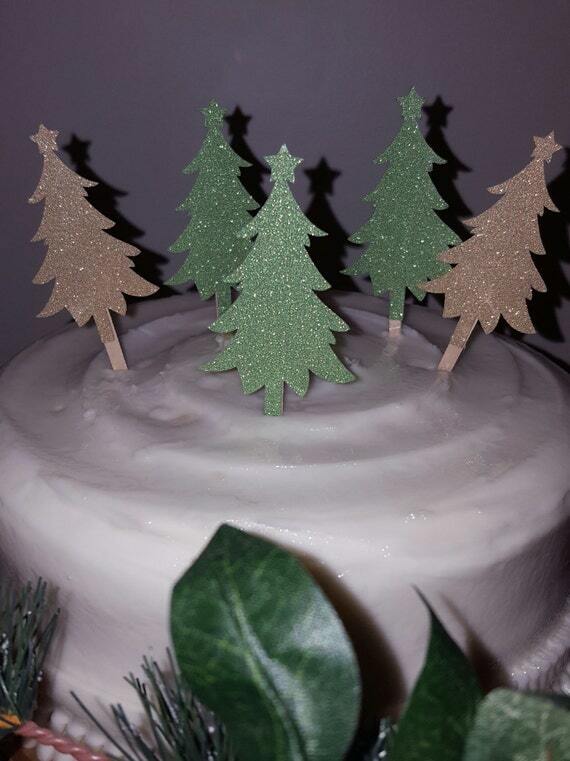 Gorgeous topper, perfect for your Christmas celebration! Made of strong glitter card stock. Silver glitter on both sides. Small red satin bow on one side. Measures about 7 3/4″ H x 6 3/4″ W, plus 5″ stick. 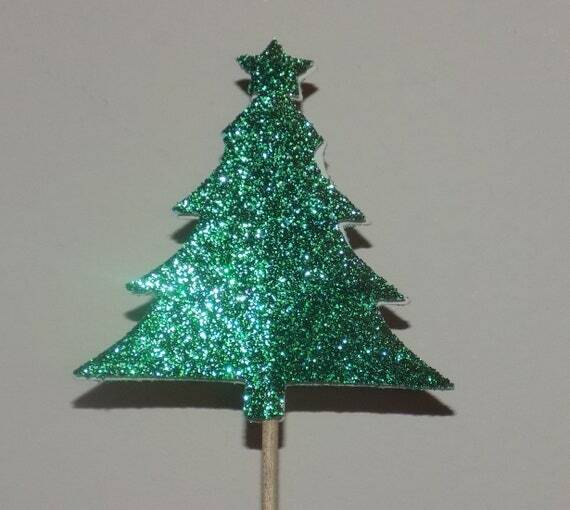 These Christmas tree cake toppers are available in glittery green and/or gold. 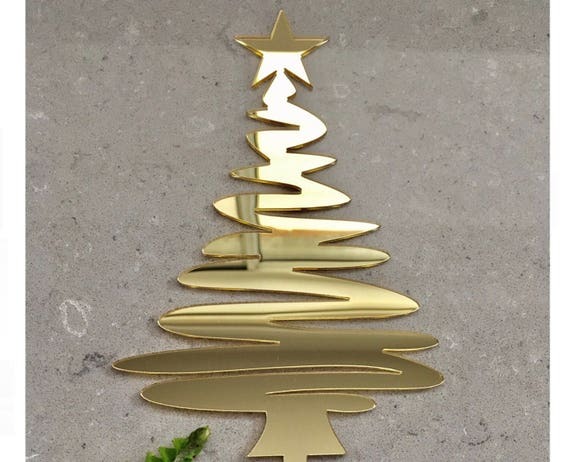 This is a set of 12 trees, you can select all green, all gold or 6 of each. The sparkling trees are covered on the back side in a coordinating solid paper for a finished look all the way around. This set is a great addition to your holiday christmas party, holiday event ,school function, New Years Eve decor, Christmas tree farm visit or any winter get together. Don’t limit these to just the cake & cupcake they are also great in many of your home baked goods. 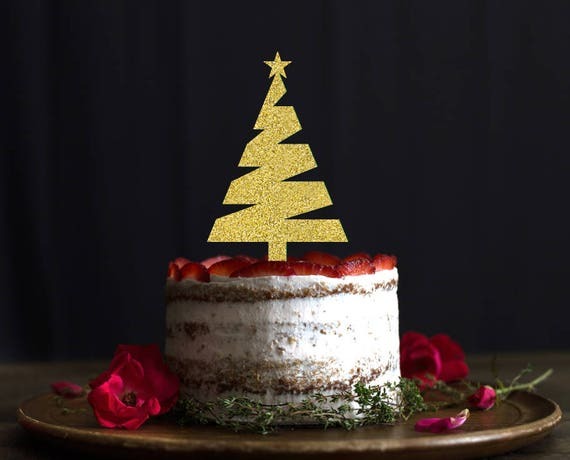 This beautiful handwritten christmas Cake Topper is a fun way to dress up your cake for your party. You can personalize this topper by selecting a color of your choice. We love to satisfy our clients necessities, we are here to help you make your special day shine! Please Direct message us for custom orders! 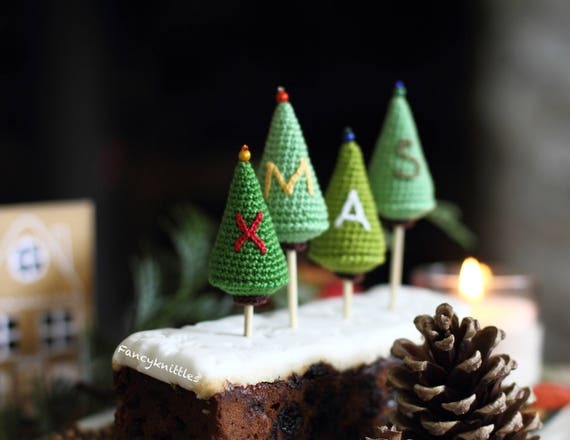 ONE crochet Christmas tree in the bamboo stick CHOOSE the LETTER and COLOUR. 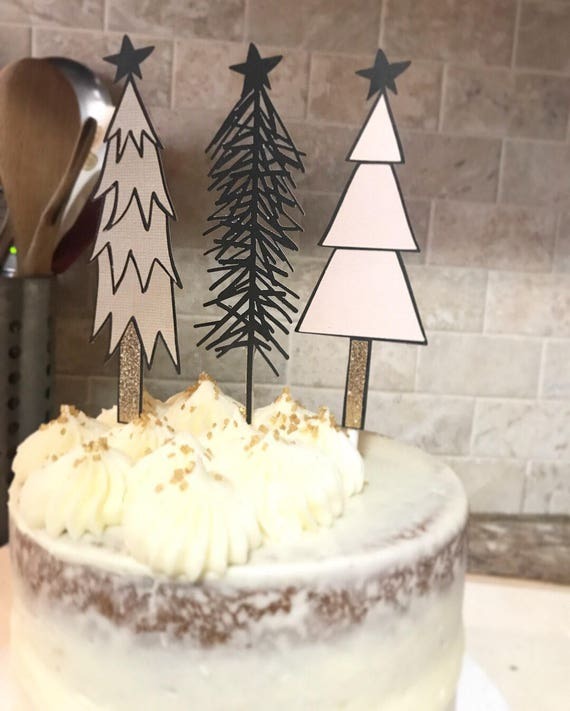 Christmas Tree cake Topper can be used to celebrate any occasion. It is made of cardstock. 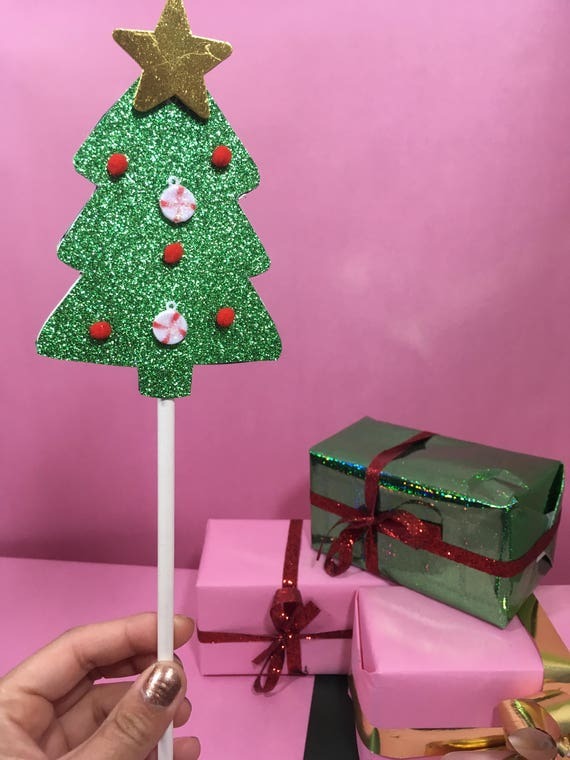 It is made of several layers of glitter cardstock, it is sized as follows: 5×3 inches and comes with 6 inch sticks, it can be made in any holiday color. 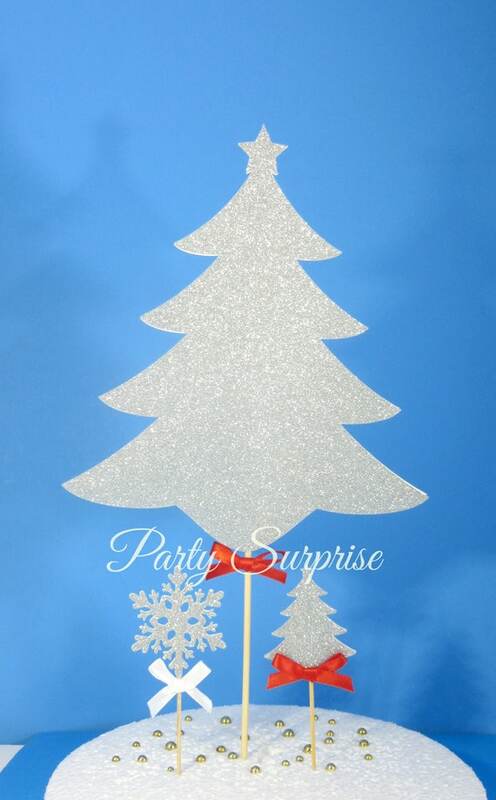 Large Christmas Tree: Fabulous acrylic cake topper designed and made in the UK. Choose your colour! 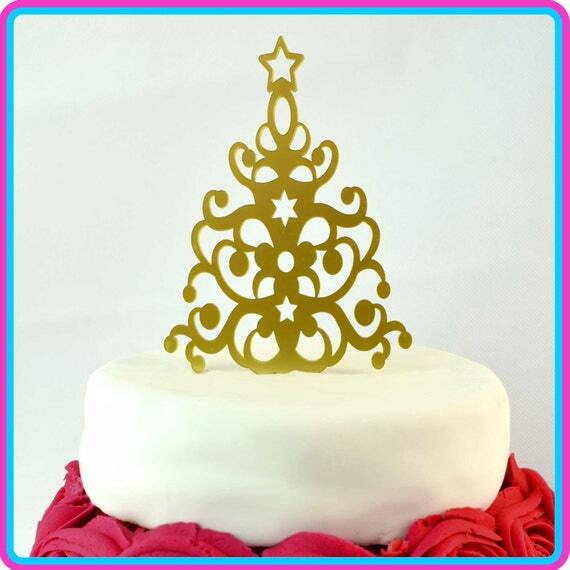 This fabulous acrylic cake topper is designed and handmade with love in the UK. This topper is 90mm by 180mm. Acrylic toppers are the perfect keepsake long after the cake is enjoyed! Crafted from the highest quality 3mm acrylic in a choice of brilliant colours. Please note this is not an edible decoration. Your decoration will be made to order and will be sent out by 1st class post straight away for a speedy delivery. 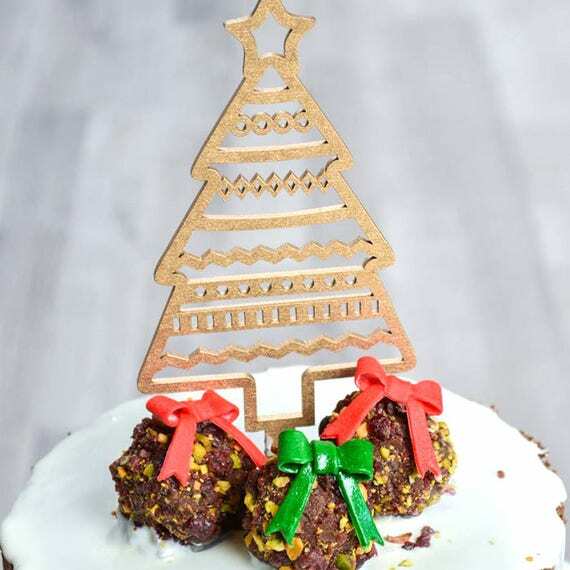 Very unique way to showcase you store bought or homemade cake for this Christmas. 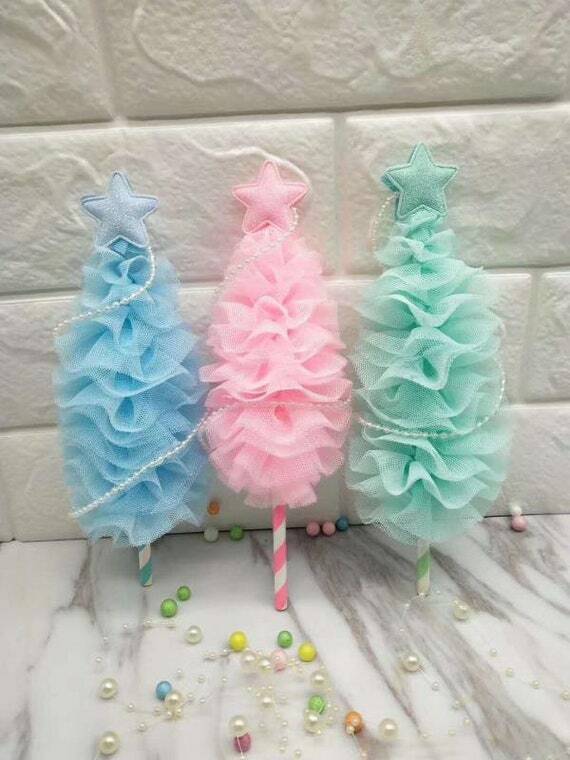 This fun, elegant and rustic Christmas trees can be customize if you want them to be another color. Other colors avaible in my store.